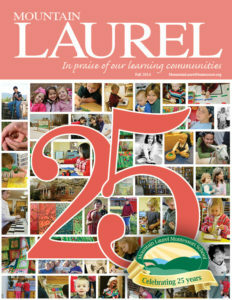 Founded in 1989, Mountain Laurel Montessori School educates families and children from infancy through 9th grade. 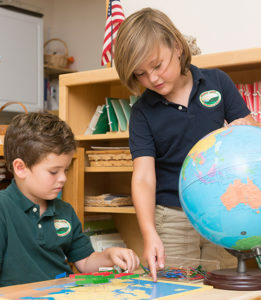 The mission of the school is to provide ideal learning environments for each stage of a child’s development, adhering to the highest standards of Montessori education. All teachers are accredited by the Association Montessori Internationale, and the school is fully licensed by the Commonwealth of Virginia Department of Social Services. Above all, teachers and staff are deeply committed to education that guides children to become joyful, life-long scholars and engaged, responsible citizens of the world. 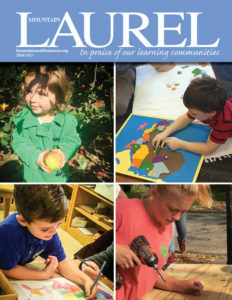 Mountain Laurel Montessori School incorporates a close and caring community on a 5-acre wooded campus in Front Royal, home to Infant and Toddler, Primary (3-6 years), Elementary (1st-6th grades) and Junior High (7th-9th grades). Bus service is available from Marshall, Warrenton, Winchester, and Stephens City during the school year. 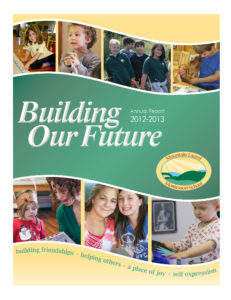 Our school publications from the past several years include capture highlights of student work, activities, lessons, excursions and more. 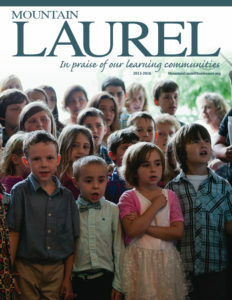 Preview or download by clicking on the covers below. "I was the first student to start from Beginnings class and go all the way up to 9th grade at the junior high. Whenever I think of the word, "Montessori," family always comes to mind--because at Mountain Laurel, everyone's involved. If there was something I could say to students at Mountain Laurel now, it would be to take everything your teacher says to heart. They know what they're doing, and I learned that once I graduated and went to public school. I would definitely send my child there. Mountain Laurel doesn't just teach you how to do math and other works like that. It also teaches you how to be mature and make good choices."